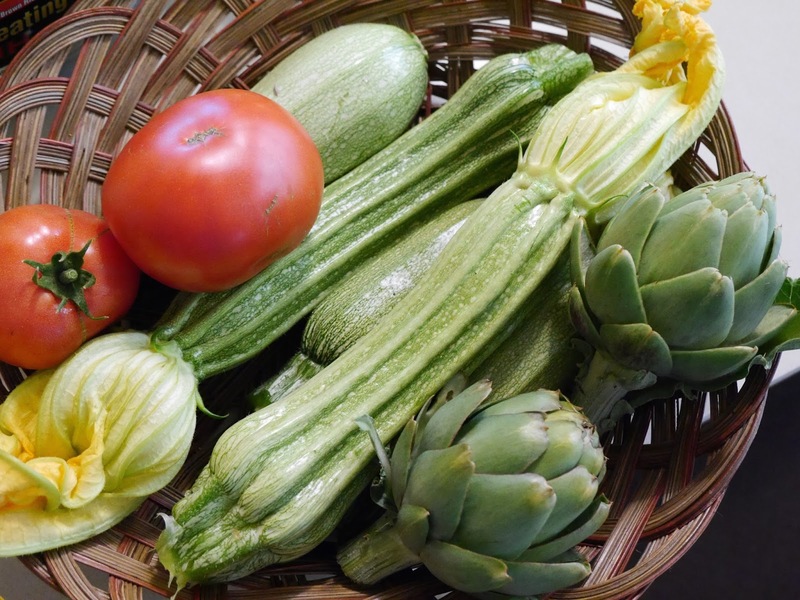 Foods For Long Life: Don't Throw Out The Artichoke Water Detox, Lose Water Weight, And More! 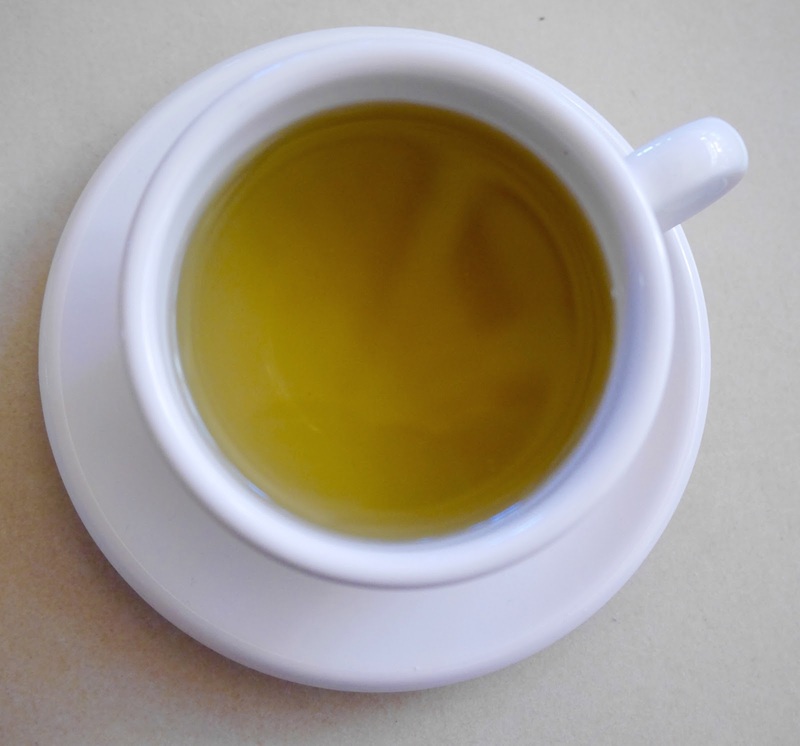 Artichoke tea, hot or cold, can provide health benefits. 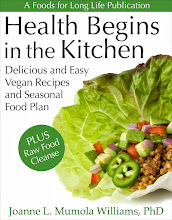 Preview my eBook, Health Begins in the Kitchen. I am having so much fun in my garden this year. 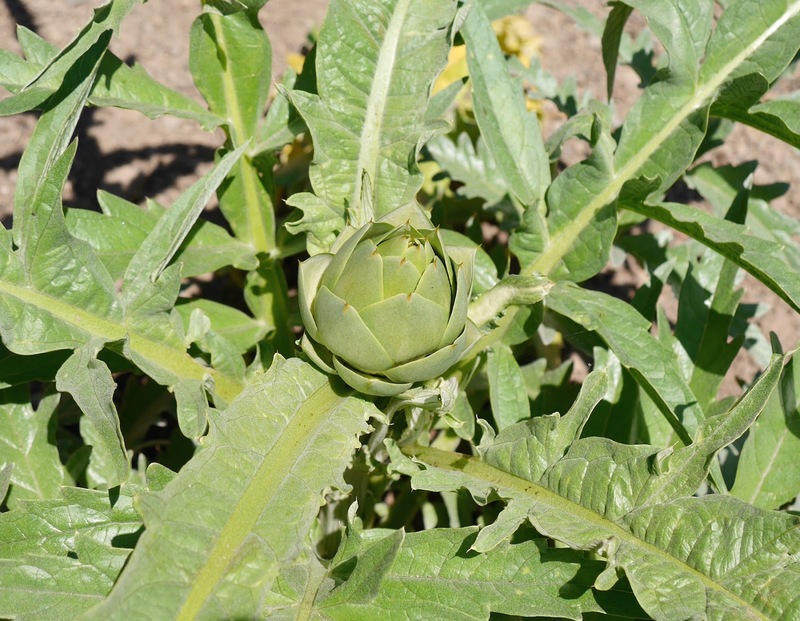 The most exciting veggie I tried growing is the artichoke which happens to be one of my absolute favorite foods. They grow really well in Northern California so I guess I shouldn't have been shocked when they started popping up only weeks after planting pretty mature plants (I bought the ones in 1 gallon containers). They've been coming up pretty regularly now and this morning I had two of them along with my usually zucchini and my first two tomatoes! My favorite way to eat artichokes is to stuff them with breadcrumbs but that takes some work. So lately I've just been boiling them and dipping them in hummus or miso tahini dressing. 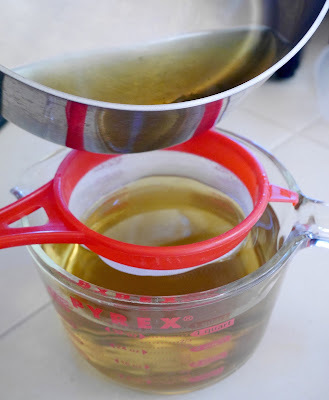 One day when I was boiling the the artichokes, I noticed that the cooking water turned into a beautiful, fragrant broth so I drank it. It was delicious. I shouldn't have been surprised because I've been drinking Vietnamese artichoke tea for years. 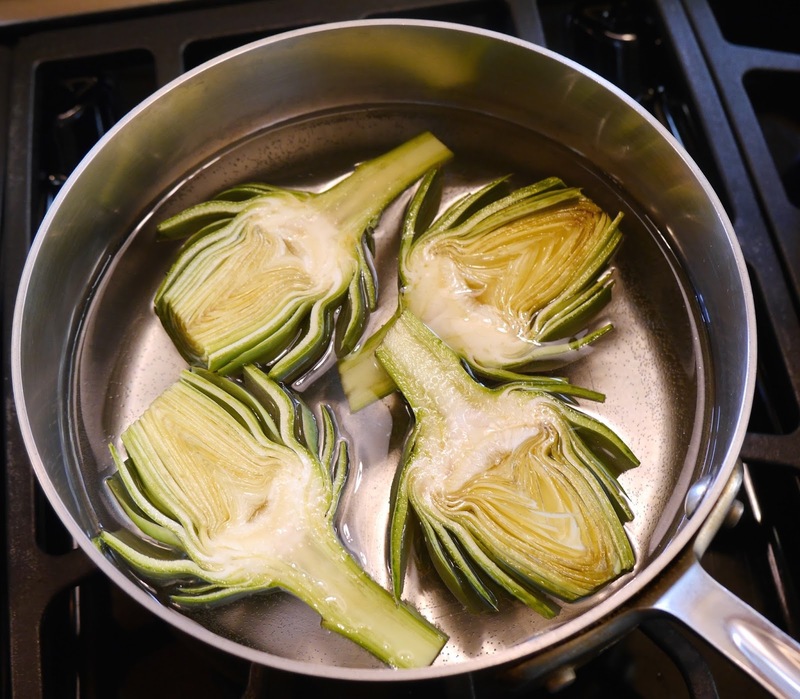 Save the water after boiling your artichokes. I generally use 5 cups of water for 2 medium artichokes and cook them until tender, around 45 to 60 minutes. You can strain it but you don't have to. Artichoke leaves contain some powerful phytonutrients - cynarin, silymarin, quercetin, rutin, and gallic acid, which can help protect us against liver disease, cancer, and heart disease. Artichokes are rich in vitamin C, K, folate, magnesium, potassium, copper, and manganese, much of which ends up in the water when you cook the artichoke. The cynarin in artichokes helps stimulate bile production and is beneficial for your liver. Silymarin is also a very good liver protectant so artichoke tea and broth are excellent for helping you detox. Artichokes are a natural diuretic and can help prevent water retention and allow you to shed some water weight. And when you eat the artichoke, with all its wonderful fiber, it will act as a natural laxative and remove additional waste and toxins. Just one medium artichoke has a whopping 7 grams of fiber. And your gut microbes will have a feast too! So enjoy the hot broth as a tea or use it to cook dried beans or as a broth for soup. 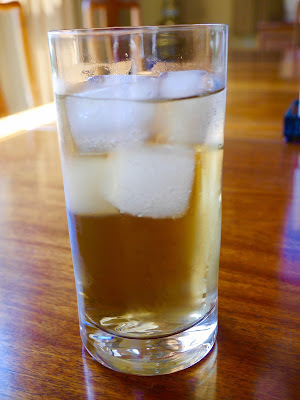 But since it's hot out, I've been enjoying it as an iced tea with a few drops of stevia. Is Artichoke Water the Latest Rage? As I was writing this, I noticed a new beverage on the market called Arty Water. Ha! I guess I wasn't the first person to think of drinking their artichoke water but I'm glad I started doing it and stopped throwing this amazing elixir down the drain. What a smart Mom. It's a great idea! I completely agree with you! It tastes amazing and I am so glad I listened to my best friend. She is the one who told me about this little secret. Love it!! It's naturally a little sweet, I drink it as is, it's refreshing.